President’s Society is an annual campaign that is integral to the Junior League of Birmingham’s ability to provide more than 55,000 volunteer service hours and funding to its 38 community projects. The Birmingham community looks to the JLB to comfort the fears of a homeless child, to provide books to children who would otherwise have none, and to entertain patients and their families while combating a childhood illness among many other things. 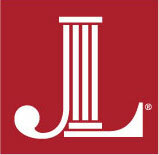 Gifts of any amount are greatly appreciated and will support the JLB’s work in the community. To become a member of President’s Society 2018-2019, you may pledge or donate by credit card. To pledge or donate online, click here, and select President’s Society 2018-2019 from the drop-down menu or to pay using the installment plan, see below. We are pleased to be able to offer monthly installment options for President’s Society members. If you would like equal installment amounts automatically deducted from your credit card please click here for external secure site processing.